The Forum knew it • Was gibt es neues vom U-HE Hive Synthesizer? U-HE is doing another new synths that is sort of normalized (therefore not modular) Bazille – so to speak for U-HE this is „the VA“ synths with 4 ADSR envelopes, 2 OSCs and 2 subOSCs along with 6 open ModulationSlots and 2 LFOs. 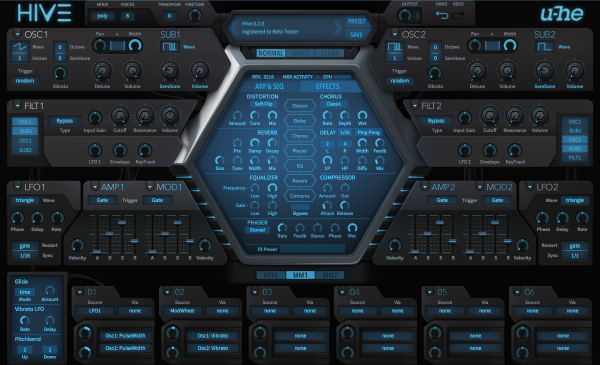 – so this is sort of untypical „standard“ synths from U-He that seems to focus on fast access (in this case for dance music or – EDM – (among others). 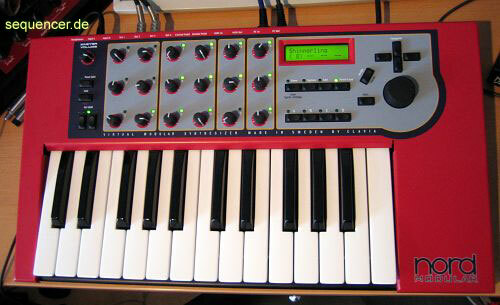 They internally call it their „supersaw synth“.